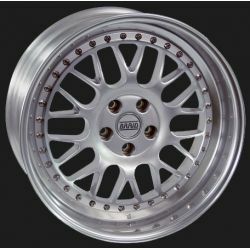 > Wheels and tyres>BRAID racing wheels>Racing wheels - BRAID Winrace N LARS 5.5x16"
Braid one-part discs are made of a special lightweight aluminum alloy and the surface of the discs is heat-treated with hardening to increase strength. 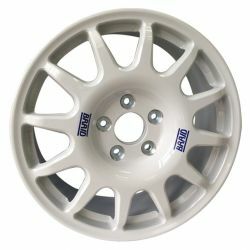 The shape of each wheel is at its inner periphery complemented by small grooves (reinforcements), which increase its rigidity and resistance to deformation. 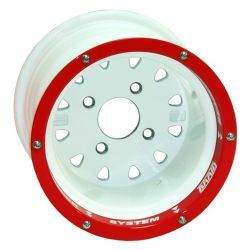 Just like all aluminum competition wheels BRAID, these are as well equipped with pressed-in steel inserts in the holes for the wheel bolts. These prevent damage to the contact surfaces of bolts (nuts) thereby reducing the likelihood of loose wheel bolts. Center hole: any dimension upon request (please specify in the note when ordering). 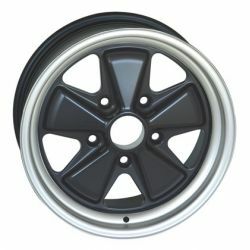 Possibility to supply the wheel with other than standard pitch.